A global chickpea shortage has caused the price of a tub of hummus to soar by almost 30 per cent, according to experts. The Grocer found that the price of the average tub of hummus rose over a year from £1.14 in January 2017 to £1.47. This is a price increase of 33p, which is 29 per cent. 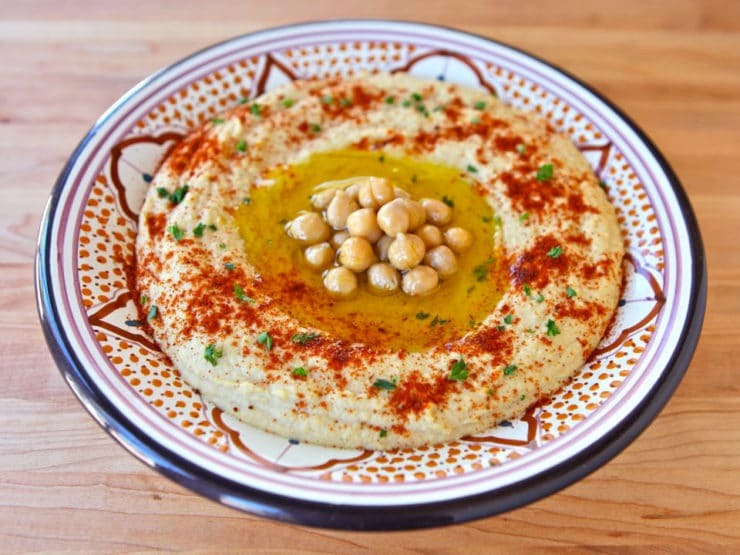 Some hummus manufacturers have blamed supermarkets for the price rise. The price of a 250g tub of Me Too! hummus has gone up by 12p, and 19p for a 500g pot. Brand founder Ramon Hazan explained: “We have a quality product which we believe is worth paying more for. However, we do need to strike a balance which ensures we are competitively priced and makes us accessible to as many consumers as possible. “We would not want to lose customers as a result of retail price inflation.” Tasneem Backhouse, joint managing director at EHL Ingredients, told The Grocer: “‘Chickpea prices increased during 2017 and remain high. “Demand is strong from every market and currently there isn’t enough supply to go around. This is driven by poor crops in some of the main producing origin nations over the past 12 months.” This comes after last year’s UK hummus crisis, in which a factory default resulted in “fizzy, metallic-tasting” spread which had to be pulled from shelves. This entry was posted in Documentation, Music/Video and tagged Hummus, Shortage, Worldwide. Bookmark the permalink.